From ESPN The Magazine comes a story about 21-year-old Toronto Blue Jays pitching prospect Daniel Norris. What’s so interesting about Daniel Norris? He lives in a van. Well, not just that he lives in a van, but that he’s the sort of curious character who, despite being a millionaire pro athlete, chooses to live in a van. He has always lived by his own code, no matter what anyone thinks: a three-sport star athlete in high school who spent weekends camping alone; a hippie who has never tried drugs; a major league pitcher whose first corporate relationship was with an environmental organization called 1% for the Planet. He is 21 and says he has never tasted alcohol. He has had one serious relationship, with his high school girlfriend, and it ended in part because he wanted more time to travel by himself. He was baptized in his baseball uniform. His newest surfboard is made from recycled foam. His van is equipped with a solar panel. He reads hardcover books and never a Kindle. He avoids TV and studies photography journals instead. Before the Blue Jays understood his convictions, Norris felt like the team had trouble making sense of his unpredictable life — coaches, teammates and executives asking him questions that indicated a measure of unease. Why, with seven figures in the bank, did he take an offseason job working 40 hours a week at an outdoor outfitter in his hometown of Johnson City, Tennessee? Would it do permanent damage to his back muscles to spend his first minor league season sharing an apartment with two teammates in Florida and sleeping only in a hammock? Why had he decided to spend his first offseason vacationing not on a Caribbean cruise with teammates or partying in South Beach but instead alone in the hostels of Nicaragua, renting a motorcycle for $2 a day, hiking into the jungle, surfing among the stingrays? 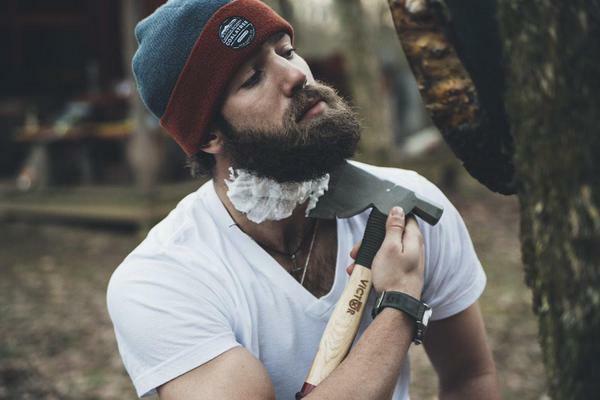 And was that really a picture on Twitter of the Blue Jays’ best prospect, out again in the woods, shaving his tangled beard with the blade of an ax? On the morning in 2011 when his $2 million signing bonus finally cleared, Norris was in Florida with the rest of the Blue Jays’ new signees. All of their bonuses had been deposited on the same day, and one of the players suggested they drive to a Tampa mall. They shopped for three hours, and by the time the spree finally ended they could barely fit their haul back into the car. Most players had spent $10,000 or more on laptops, jewelry and headphones. Norris returned with only a henley T-shirt from Converse, bought on sale for $14. It’s been a fixture of his wardrobe ever since. His advisers deposit $800 a month into his checking account — or about half as much as he would earn working full time for minimum wage. It’s enough to live in a van, but just barely. “I’m actually more comfortable being kind of poor,” he says, because not having money maintains his lifestyle and limits the temptation to conform. He never fills Shaggy beyond a quarter tank. He fixes the van’s engine with duct tape rather than taking it to a mechanic. Instead of eating out with teammates, he writes each night in a “thought journal” that rests on the dashboard. This is his favorite beach in Florida, a 25-foot stretch of sand separated from the road by a line of palm trees, a place so public that nobody else seems to notice it. The traffic cruises by on the causeway at 50 miles an hour, and he has the beach to himself. He comes here to paddleboard, to read and to journal. Once, after a morning in the water, he returned to the beach and fell asleep on his surfboard. A few hours later, he felt the cold chill of water on his foot and awoke to see that the tide had risen and swept him back out into the ocean on his board. He was quite a distance from shore, out there by himself, disoriented and scared. “That was one of the best moments of my life,” he says. Instantly my new favorite baseball player. This entry was posted in inspiration, sports. Bookmark the permalink.